If you have ever wondered what to do with a leftover roll of tickets or if you have ever looked for an excuse to buy one, Pamela Garrison has just the idea for you. Rolled Ticket Paper Chains! I love tickets and I love paper chains, so this is a happy ever after marriage of them both. 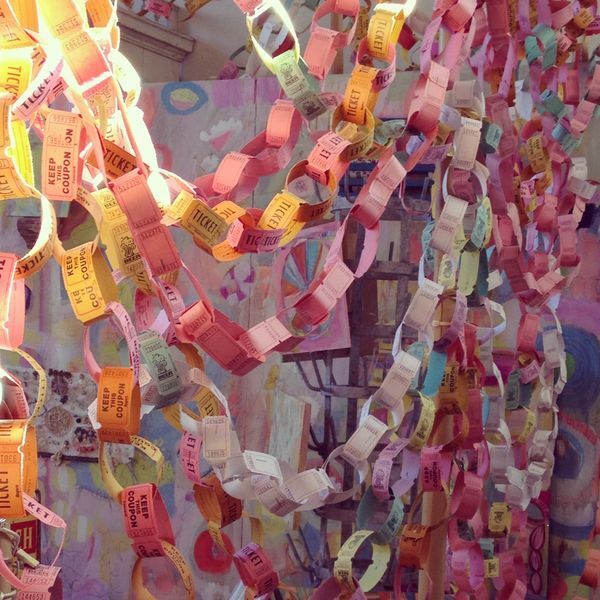 You can check out all of the rolled ticket paper chain inspiration over at Pamela Garrison. such a cute idea, I love it! i LOVE this idea! how cute and smart! I am among those who has always looked for a reason to buy some, and now I have one! Thanks!